I had a conversation with someone recently and they mentioned that much of my writing in Hanging Upside Down has a comic book feel to it. There are many cliff hangers from one chapter to the next. I kinda envisioned someone reading this book on their way to work while riding some sort of mass transit so that the end of some chapters would allow people to take break. Anyway, there is a big reason why I wrote this book the way I did. First, let’s be real, this novel was not the first story I’ve written. It is, however, the first story I finished. There are several short stories that I’ve worked on with complex characters (one of those short stories appears in the book, Chapter Twenty One) and one longer story that I had originally thought would be my first novel. 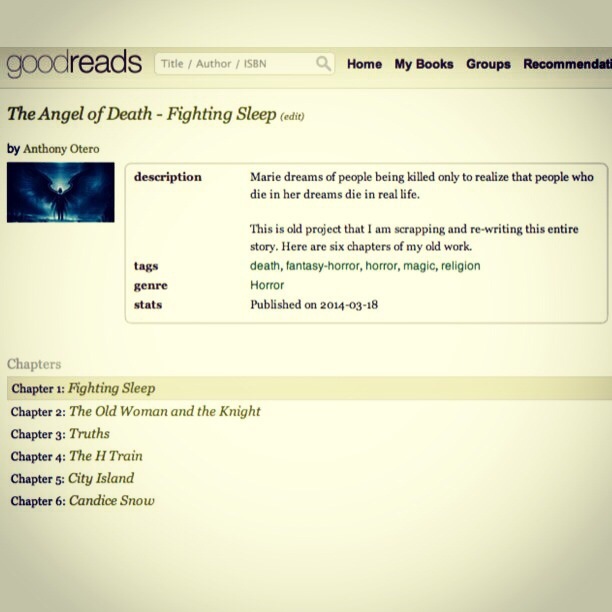 The Angel of Death was something I was toying with for a few years on and off until I scraped the project and posted what I did have on Goodreads. 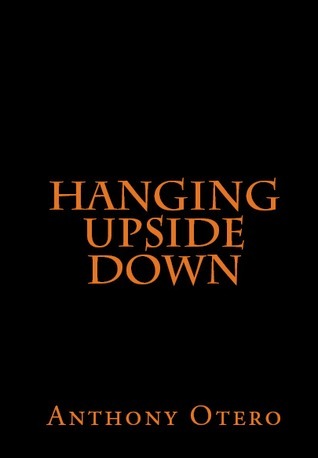 One of the main characters in that story is in Hanging Upside Down. It has always been my goal to write books in which the characters are interchangeable. Everything I write, at the moment, is all in the same reality. While this may not be a relatively new concept to some authors, this is some what of a big deal to me. This isn’t just about Louis Ortiz and writing several books about him even if the I’m currently writing a follow up novel. This is about the world that surrounds him. Hanging Upside Down contains a variety of characters I can go back to. I can either use them in a brief appearance or simply have them as the protagonist if I want. To me this provides history I don’t have to make up on the spot. I will always have something to reference to or more importantly, I can go deeper into minor characters that have also appeared in any of the books. I think after book two (which is currently titled The Book of Isabel) there will be a wide variety of characters and different plot options that I will have in my arsenal. It is, of course, easy for me to think about everything I plan to write in the grand scheme because it’s all in my head. I do think it’s a totally different thing to try to execute this plan. I believe what draws people to read book are characters and themes that are relatable but I also think that if I put in a extra layer of depth that explains how one character acts in one story by explaining it in another story is a very interesting challenge. This is a comic book way of looking at things. Why is it that Hal Jordan does not appear in Crisis on Infinite Earths? The answer is very simple if you read what happened to Green Lantern prior to that Maxi-Series hitting the shelves. That is what I want to get into in my novel world, a sense of history that goes beyond that current story. There are a lot of names in the current novel and I guarantee that some of these names will come up again. My writing style has changed. I realized it a few weeks ago when I was looking at my past writing projects. I was looking at old unfinished books and even older blog posts that will never see the light of day. I realized that there was a certain sense of immaturity with the way I connect the words. Something must have happened to me during the creation of my current novel. I feel like there was a whole world that I didn’t realized existed. It was an epiphany of sorts when I started writing it that made all the words on the screen pop as soon as I typed them. Now, it makes me look down at any thing I’ve written before that. The thing is that I know I have a particular writing style now that my older texts do not live up to and it’s frustrating for me to read. With that in mind, I was looking at one of my unfinished projects entitled The Angel of Death. This was something that I started years ago as a short story. I then expanded it and came up with some themes in order to complete this later. For all intents and purposes, this should have been my first book. There is a story there I wanted to tell but I got stuck somewhere. I blamed it on writer’s block and then it just got lost in the shuffle. Looking back at it, perhaps I just wasn’t ready to tell this story yet. The way I see it is that where was a lot of problems with The Angel of Death that begins with the title. I think it is too cliche and I kinda knew that when I started it. The story itself was just developing too slowly for me. I learned in writing Hanging Upside Down, that its better to just hit people with action and information immediately. The first chapter becomes fundamentally the most important chapter of a novel. The writer needs to grab the reader’s interest enough to want to read more. More importantly, it has to be interesting enough for me to keep writing it. While I think I achieve a decent first chapter with that unfinished novel, every chapter after that was not working for me. So I made the ultimate decision last night to kill this book and start over. I know I can do a better job with this story by simply rewriting it and that starts with renaming the book entirely. However, I realized that I have an opportunity to show off some of my unedited works and what better way to do that then putting in on Goodreads. I have posted all six chapters of this old project for people to view. It is a way to say Thank You to the people who may actually read this blog. My goal is to become a Goodreads Author after I publish Hanging Upside Down, so putting the old novel helps me a bit with the profile. Waiting is the hardest thing I can do right now. I have gotten to a point where I’m so used to writing and working on this novel everyday that it feels incredibly awkward not to be writing something. I guess the proper word is antsy. I feel the need to create. Is it bad that I want to start on the second novel now? I have this urge to just open a new Word Doc and start on the next one. This is despite the fact that I already have a novel I have yet to complete. Yeah, let me just go over that. 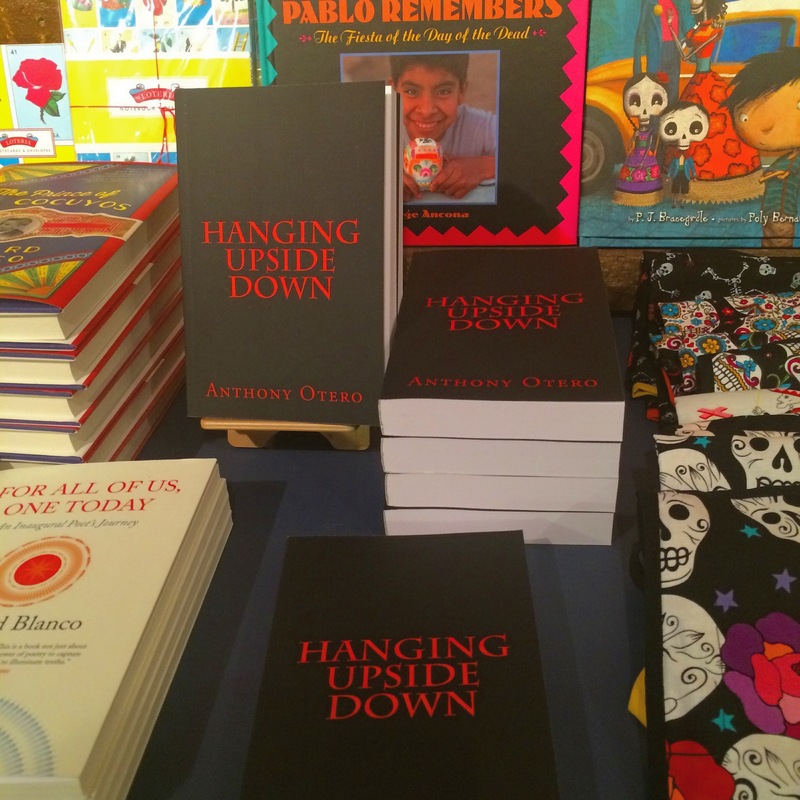 Hanging Upside Down is the novel I just finished that is being currently edited. I have another novel that I started called The Angel of Death that I have yet to complete. Look at me trying to just start another book! I know that I write what I feel and this feeling is coming on pretty strong. I want to keep my eyes on the prize but I just have this urge to write. I have been able to quell that urge a little bit by reading. I started reading Song of Solomon. I was very moved by Toni Morrison last month and I felt the need to reread some her books. The problem is that I love the way she uses words so much that I’m getting a fresh new supply of literary motivation. This is not to say that any of this is a bad thing it’s just interesting how I’ve gotten myself into the habit of continual writing and creating. I don’t want to lose that. The urge just gets stronger when I see the books on my shelf or I pick up my Nook. That is why I had to stop all the self editing to the current novel. I know that I could continually find something to change just for the sake of change. Although, I do blame myself for this because I got the idea for a new novel while writing the current one. I had to brush that idea aside until I was done but the book spirits in me are calling. I have a plethora of ideas that I want to put on (virtual) paper but I figured that should wait until I published my first book before I start on the next. I don’t think I can do that now. I am too regimented in my own ways to let my creative juices go to waste. I guess at some point I made a transition from blogger to novelist and didn’t really know it. I was just writing for me because I always had a goal to write a book even when I was a little kid going to Holy Cross School in the Bronx. This is my way of living forever because I can’t let this urge pass. I will now march my way on to book two.